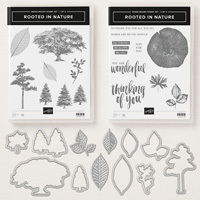 Rooted In Nature Clear-Mount Bundle | Stamps & Dies | Stampin' Up! A set celebrating nature and everything in it. Including you! 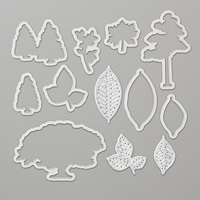 Create beautiful die-cut trees and leaves in record time with Framelits dies and the Big Shot. Framelits to cut out beautifully designed trees. 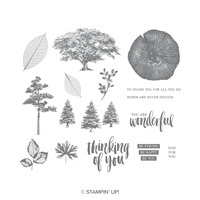 In addition to Framelits for every stamp image this set includes Thinlit leaves with a light emboss texture.